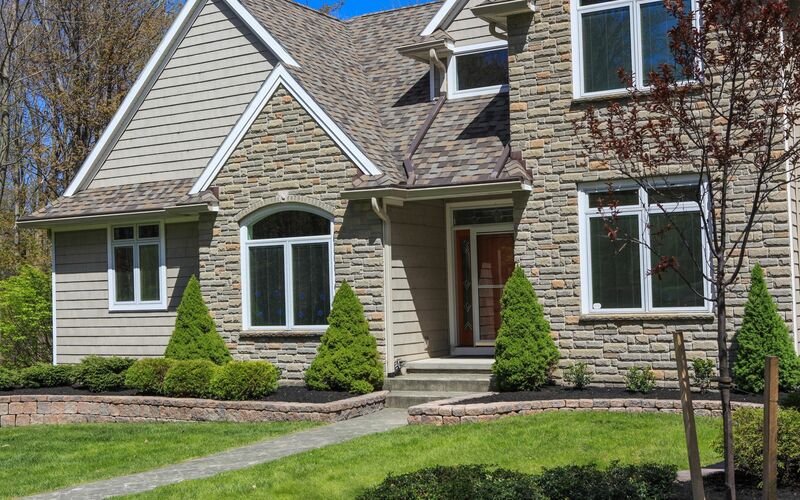 Spectacular and Private with First Floor Master! 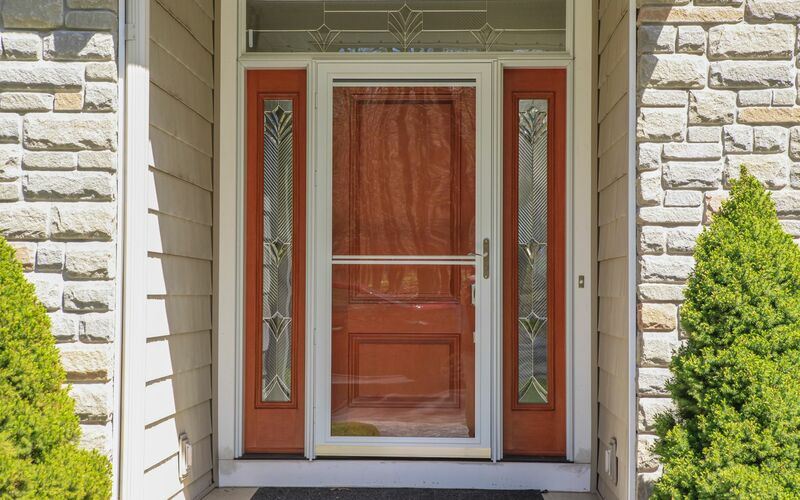 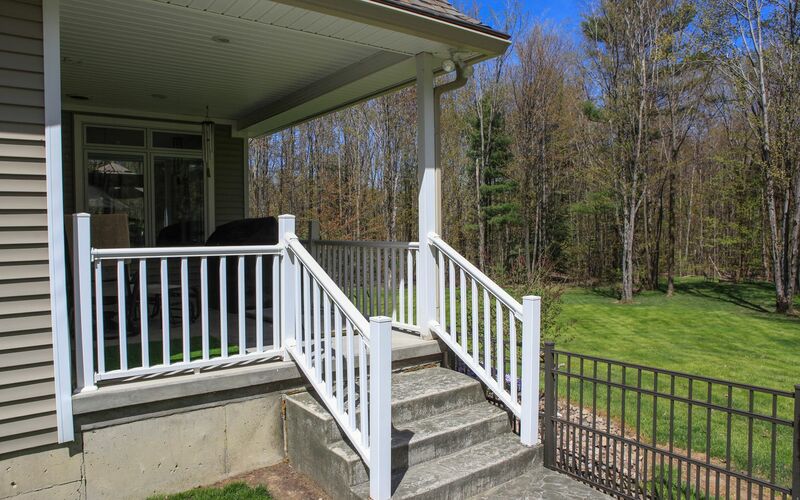 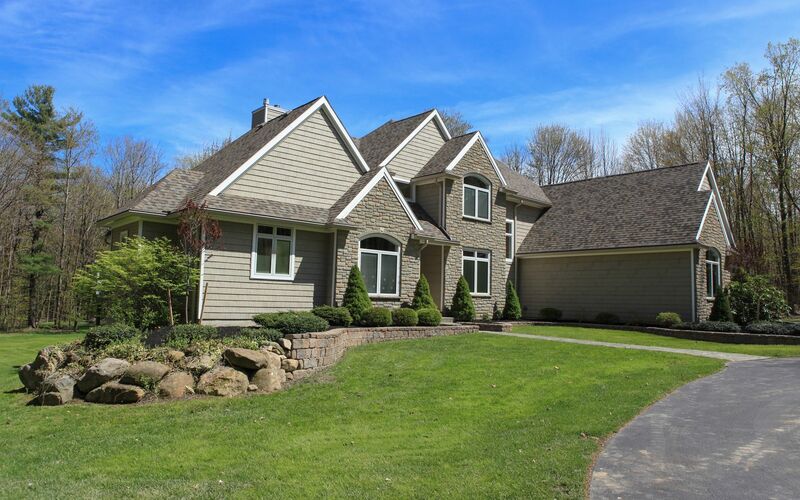 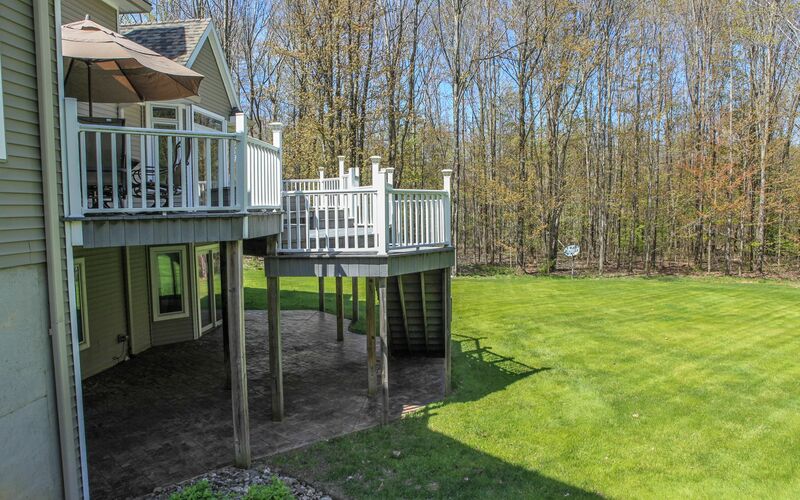 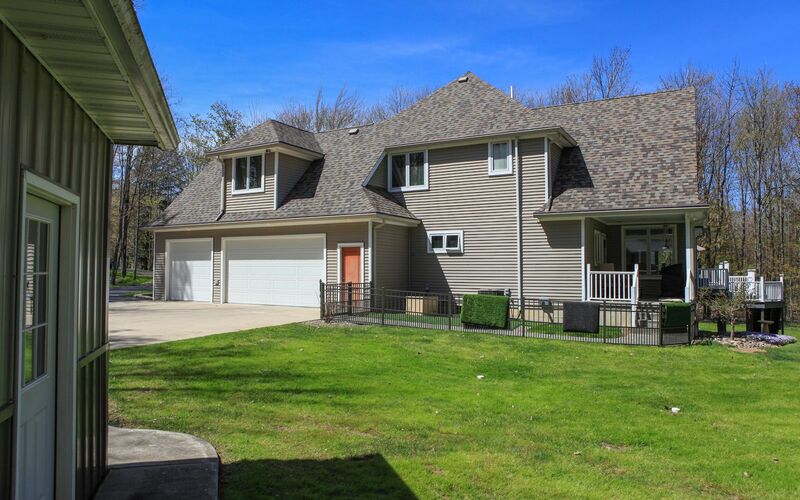 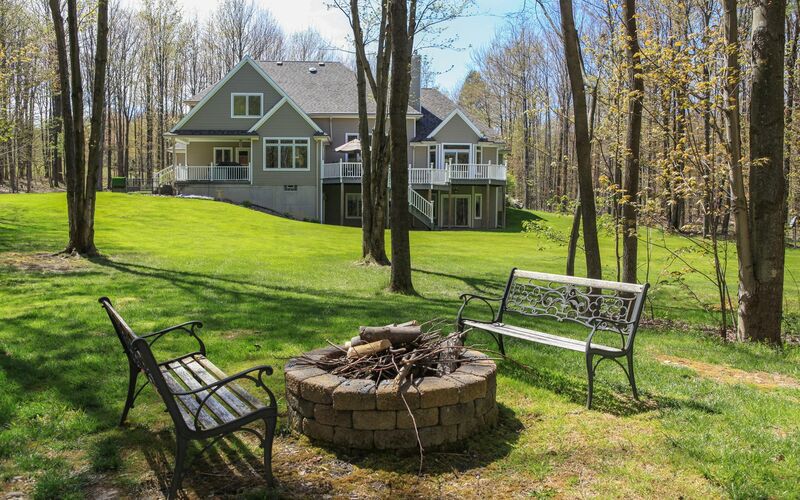 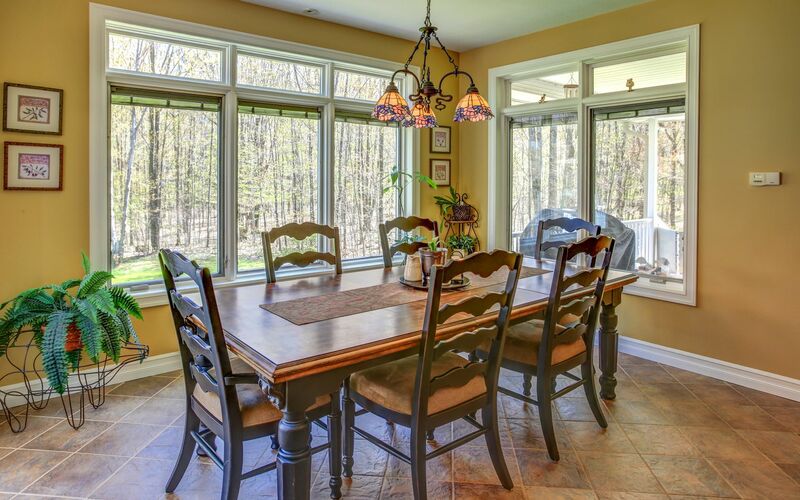 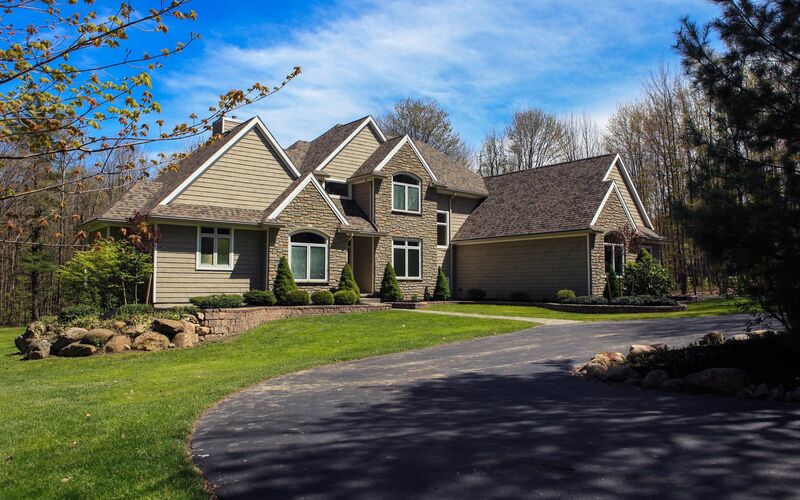 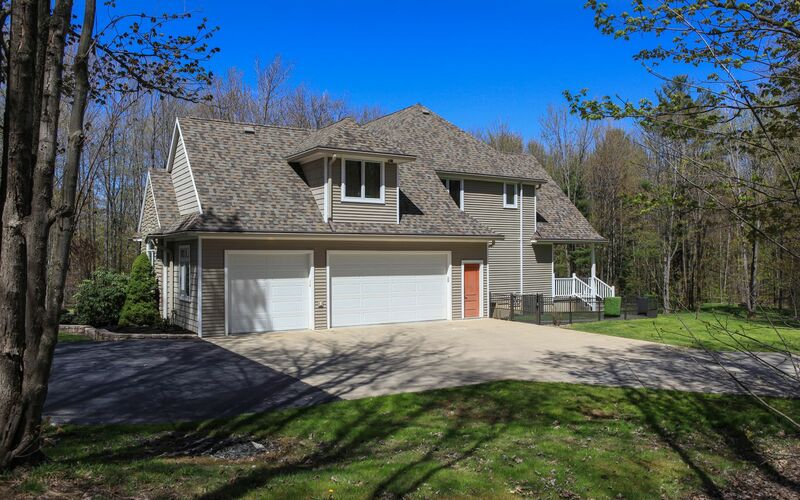 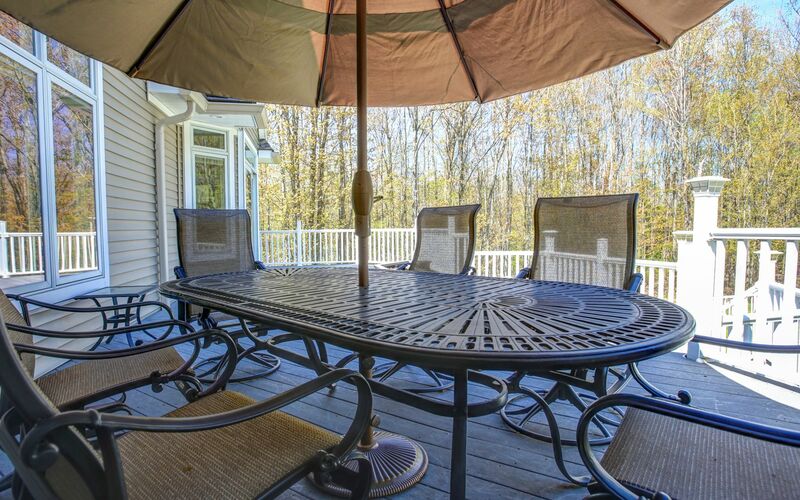 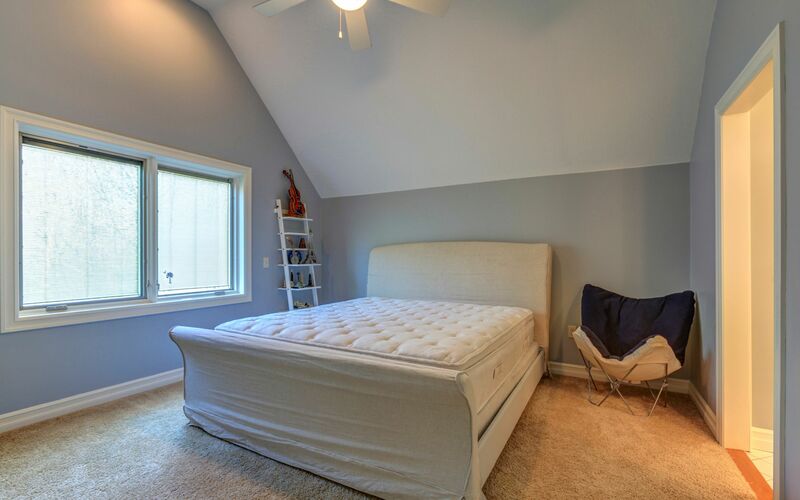 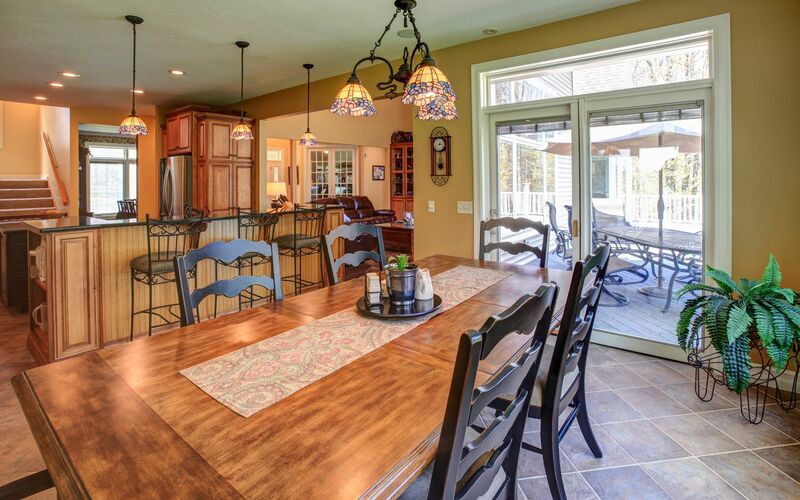 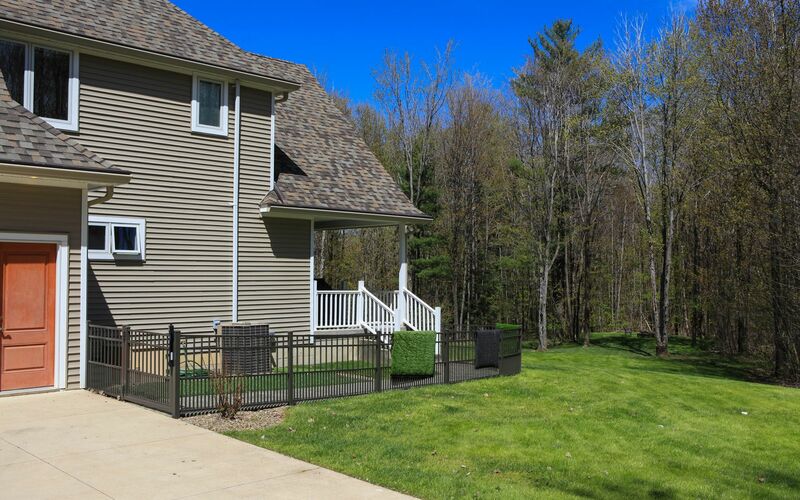 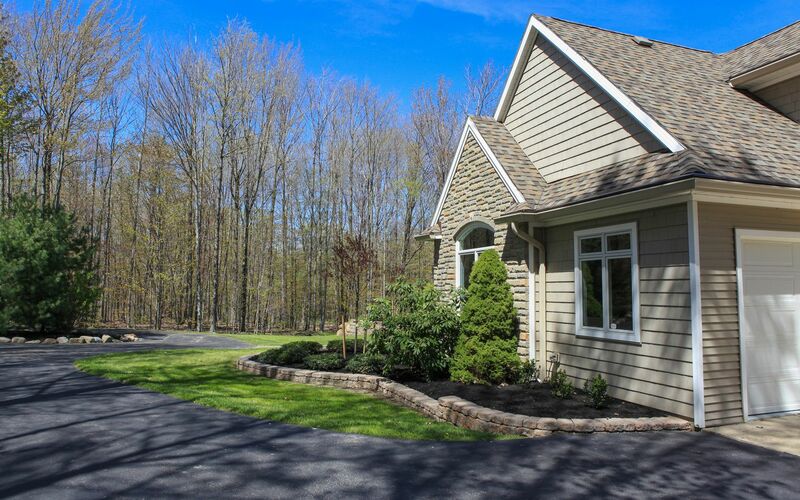 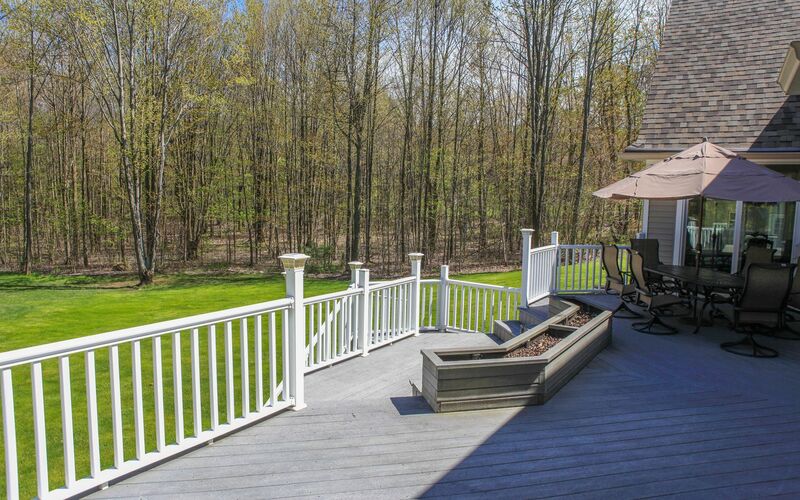 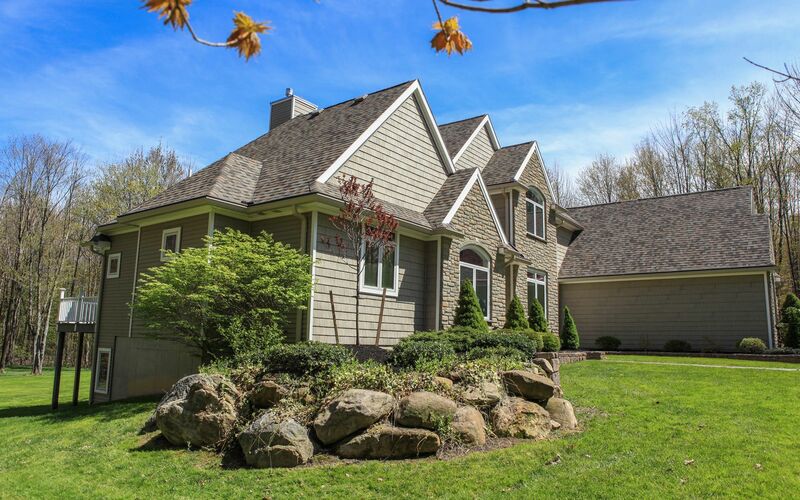 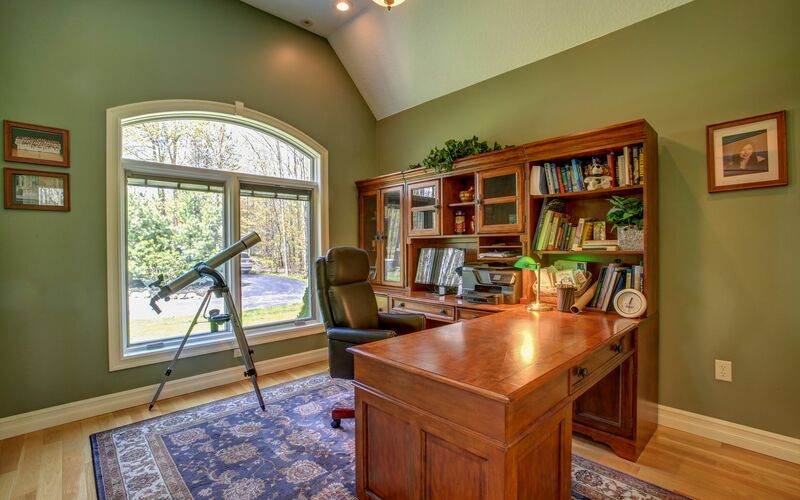 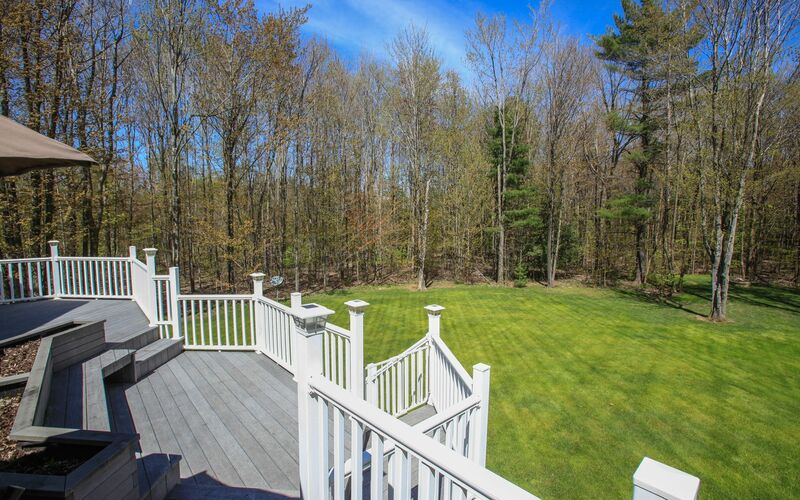 This impeccable, custom-built, two story transitional home, featuring a spectacular first floor master suite, is located on 7.5 peaceful and secluded hilltop acres in the Town of Boston, NY (Hamburg School District). 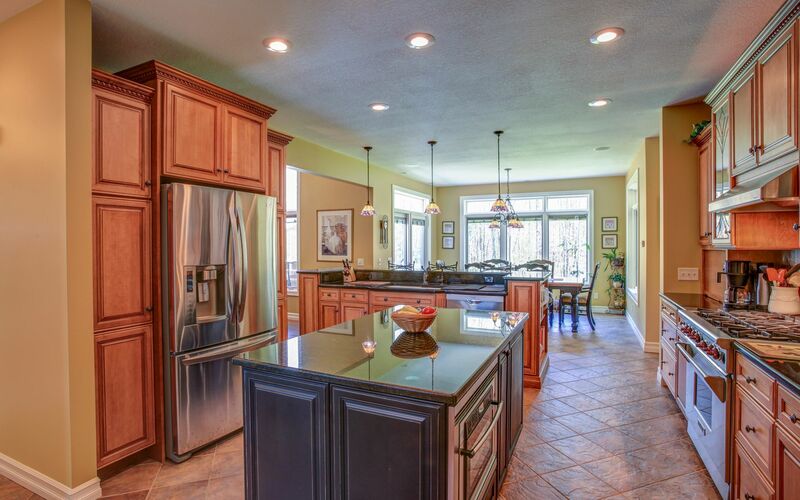 The centerpiece of the first floor is the gorgeous gourmet, eat-in kitchen with granite countertops, porcelain flooring, high-end stainless appliances, and custom cabinetry which opens to the spacious, vaulted, two-story great room with hardwood flooring, custom built-ins, and stone fireplace. 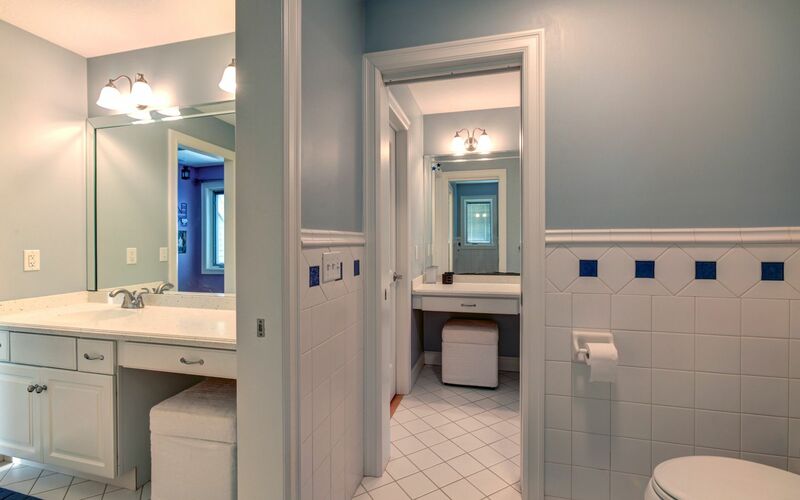 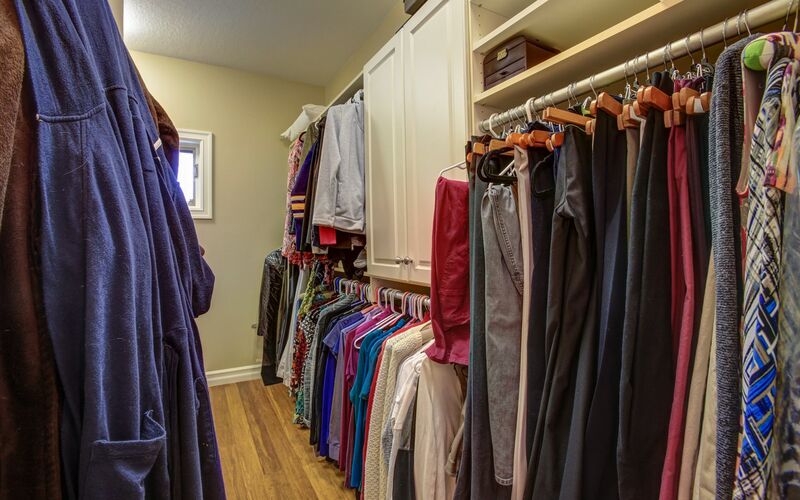 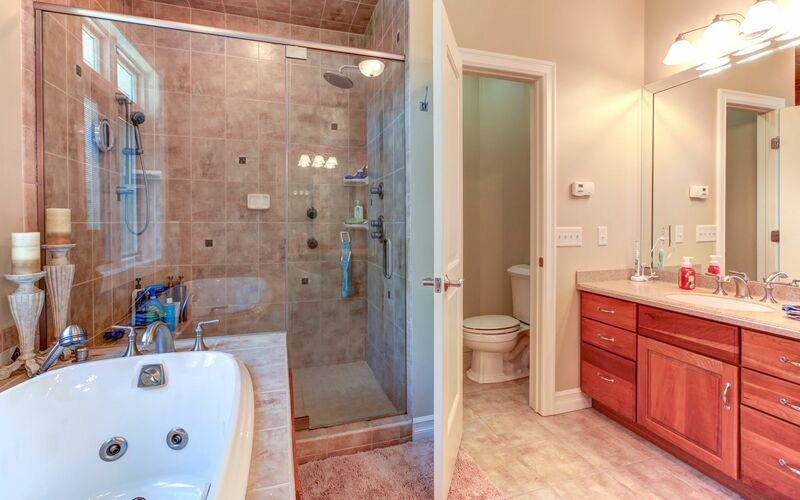 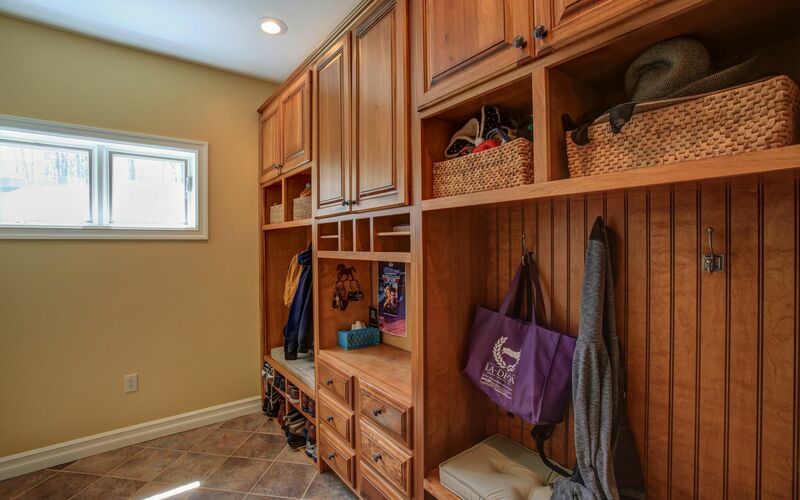 Additional interior highlights include, spacious mudroom with custom storage system and cabinetry, first floor laundry with dog shower, and spectacular master suite, featuring step ceiling, cove molding and lighting, hardwood flooring, massive walk-in closet and beautiful spa bath. 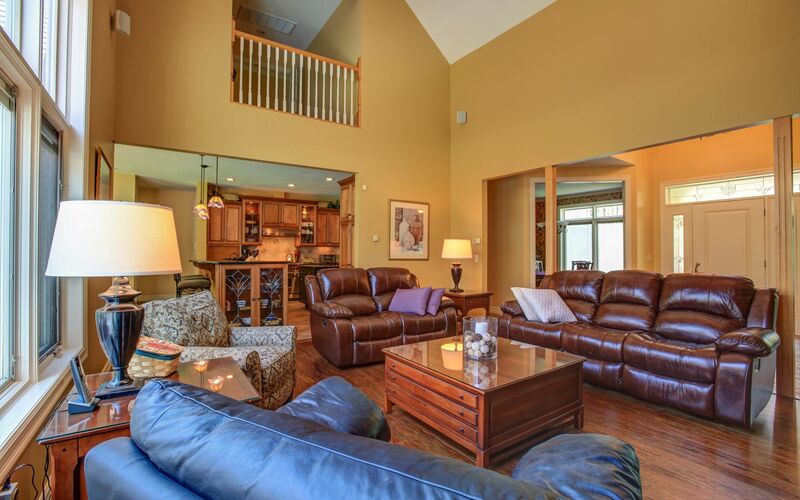 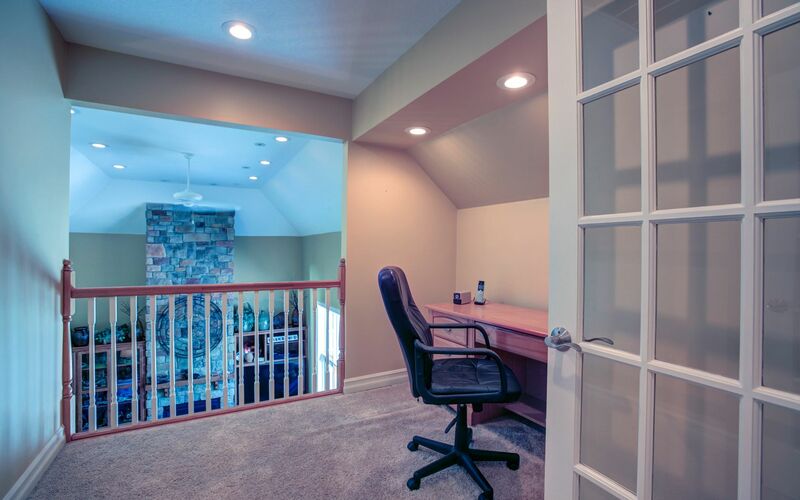 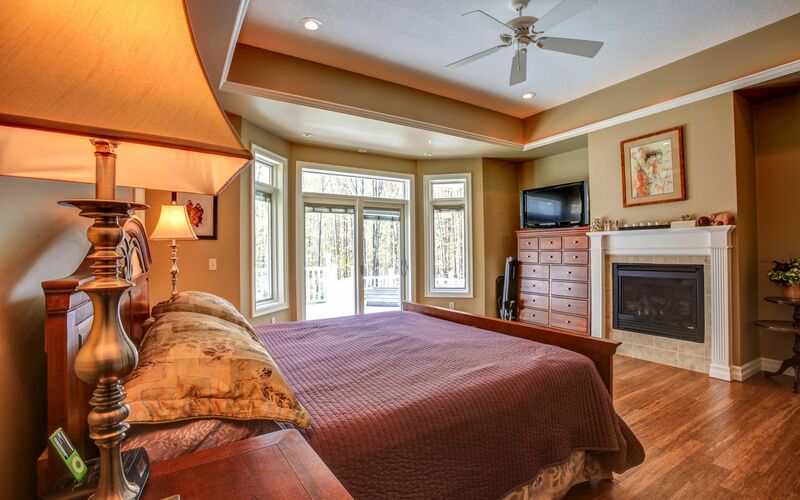 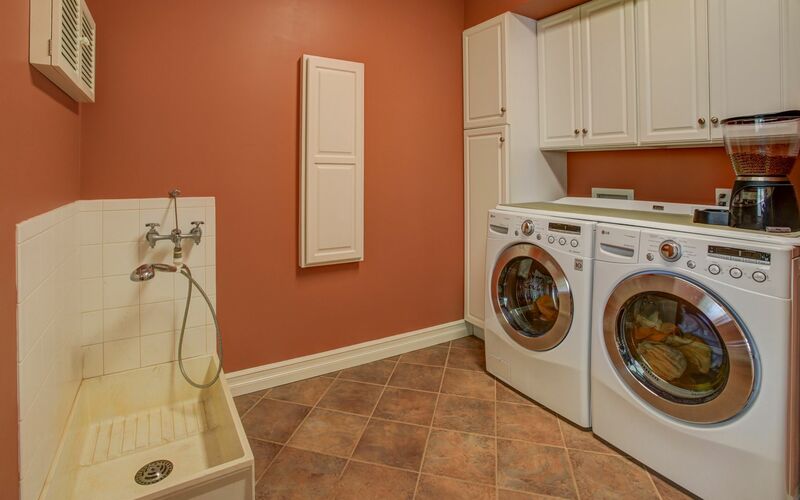 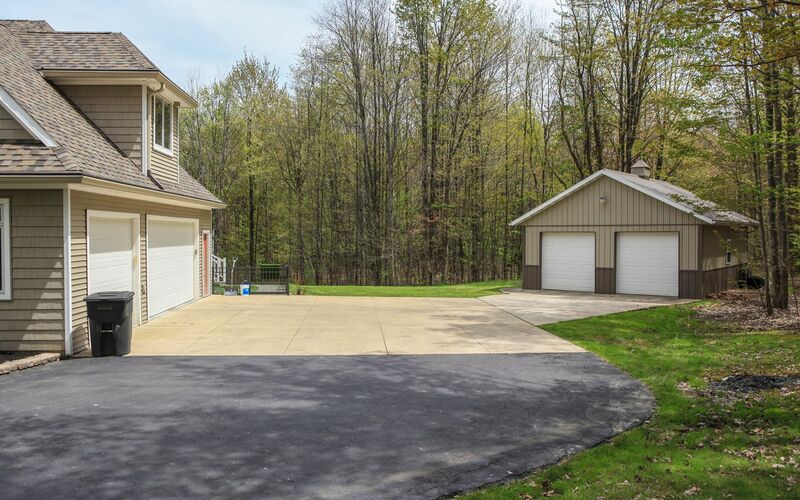 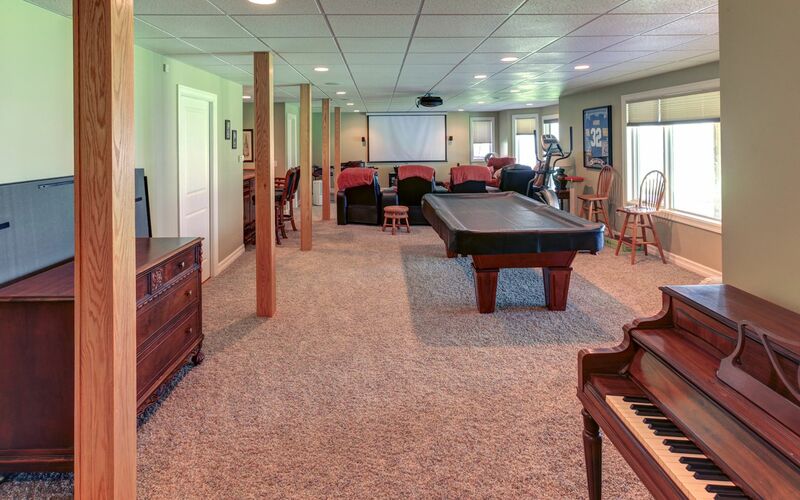 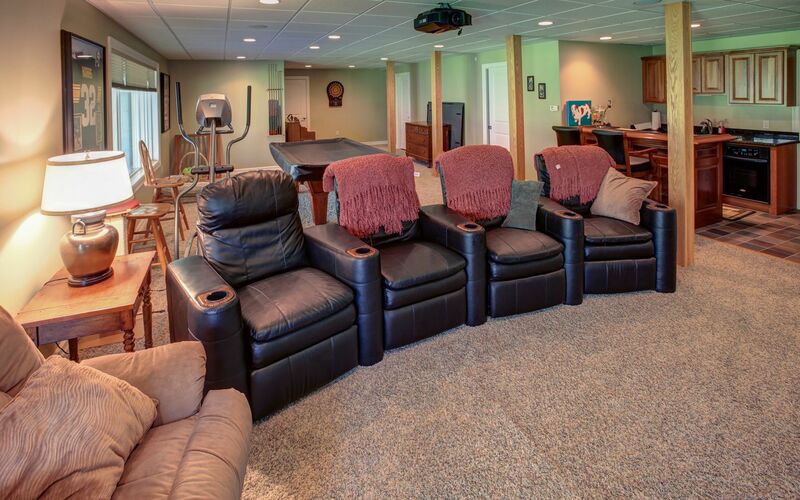 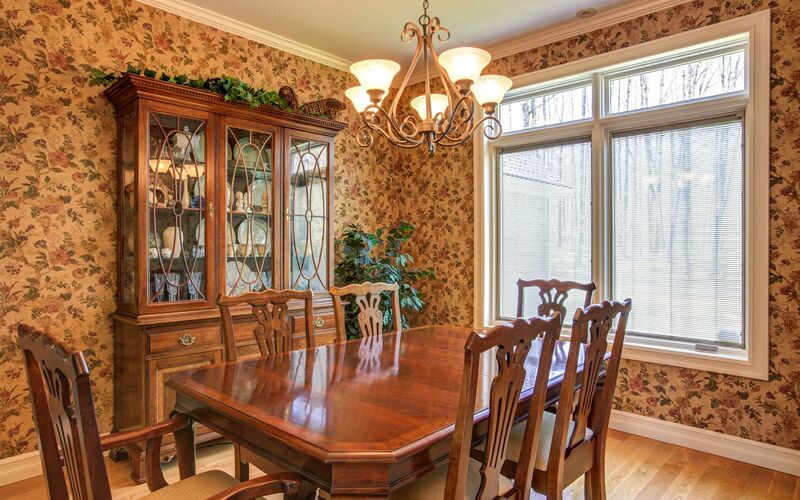 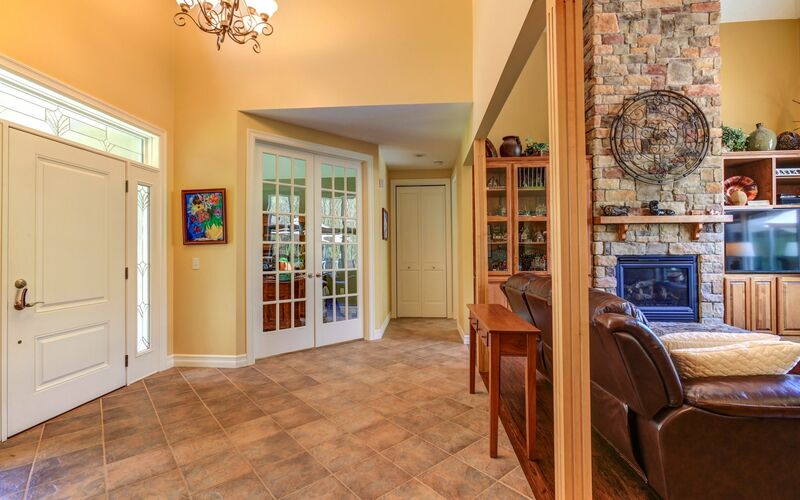 The fully finished, walk-out basement offers massive recreation/flex space which is ideal for entertaining. 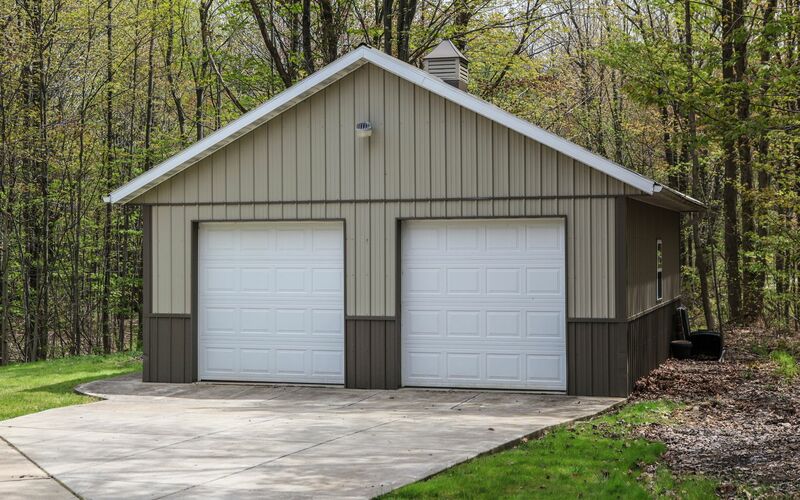 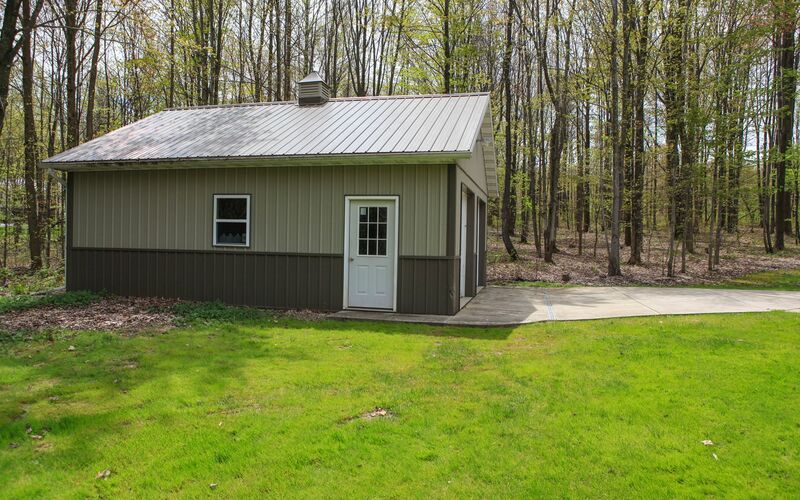 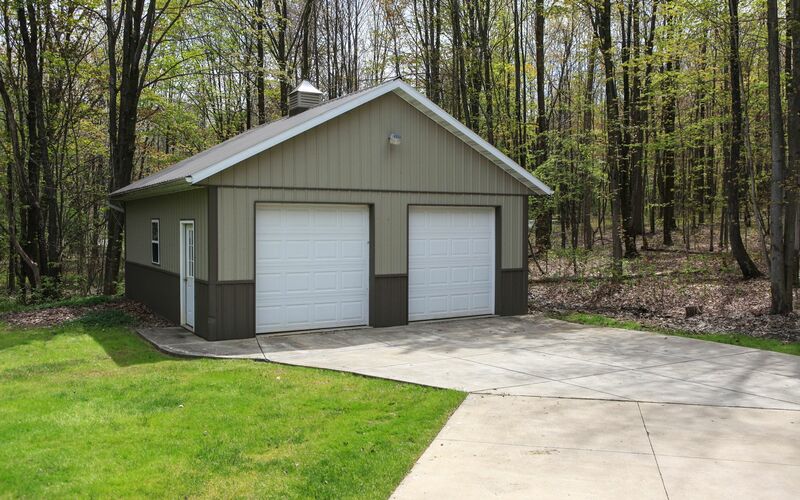 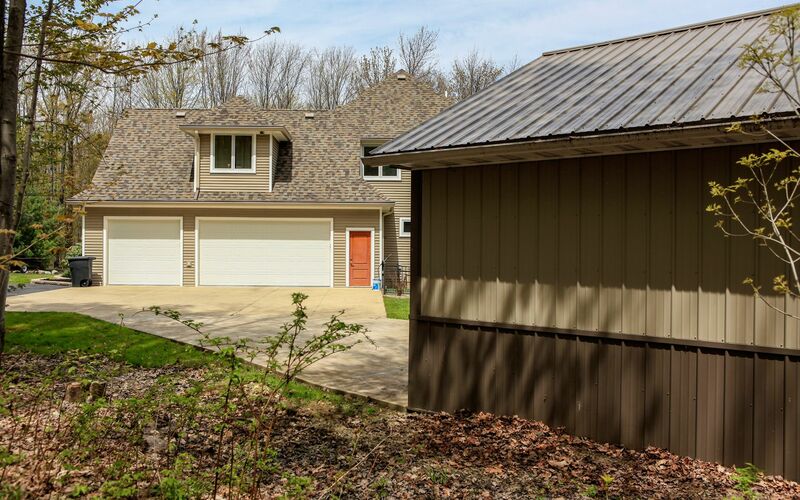 Exterior highlights include maintenance free exterior building materials, an attached, heated 3.5 car garage, enormous maintenance free, multi-level deck, a 24’ x 28’ detached pole barn/garage, stand-by natural gas generator, new roof, and radiant heating. 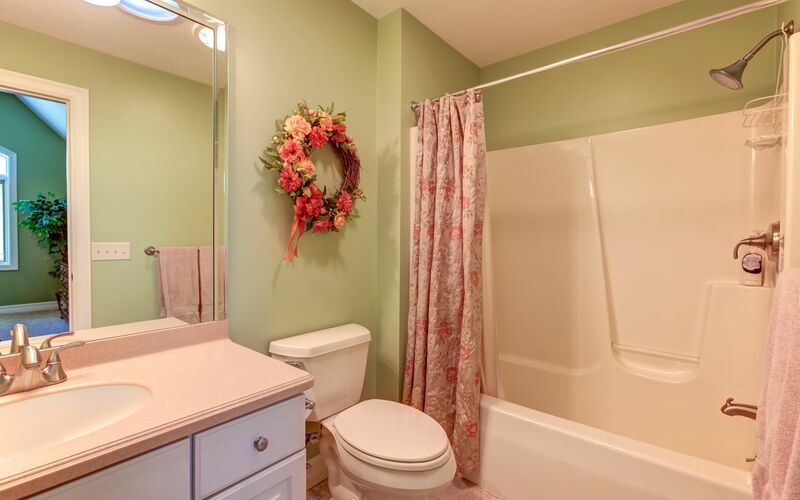 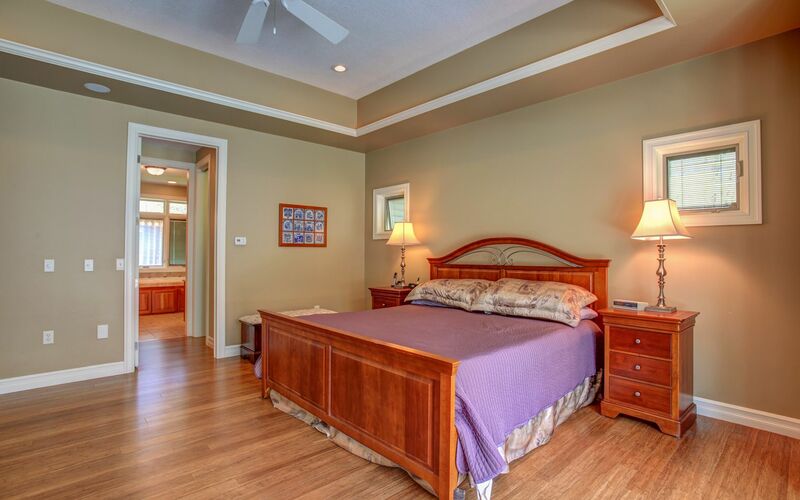 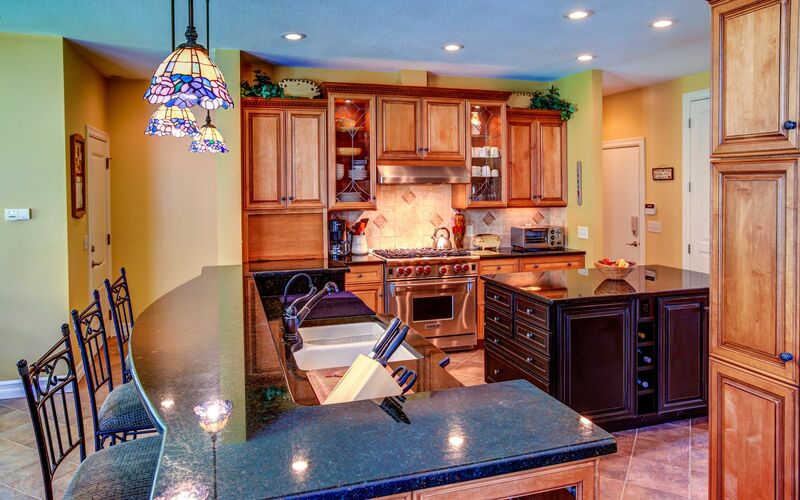 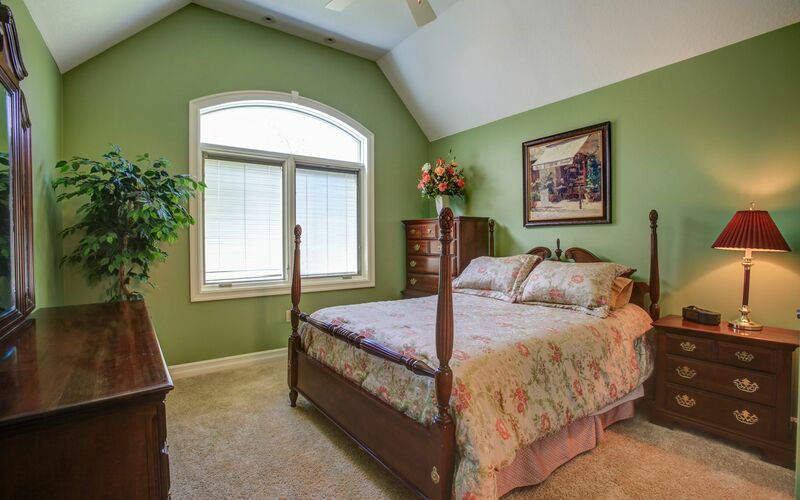 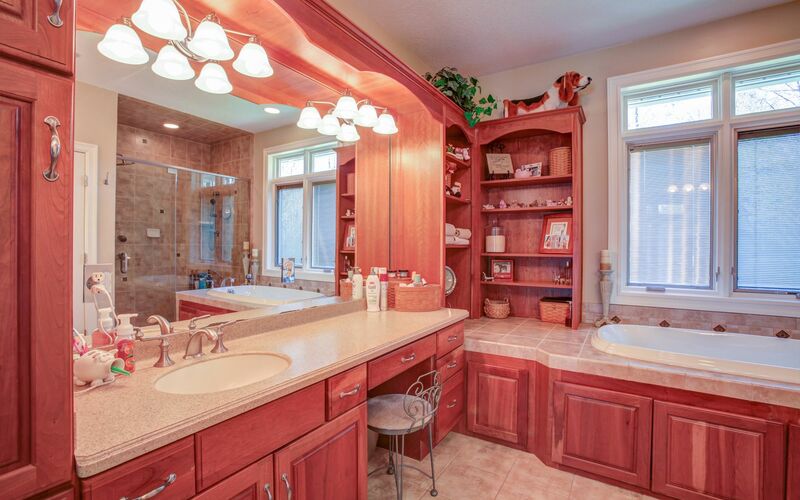 This home was built with great attention to every detail and with top quality materials and finishes. 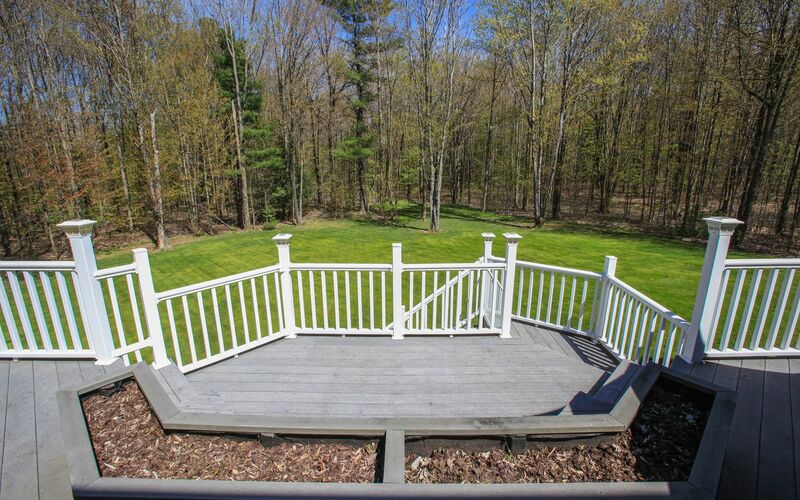 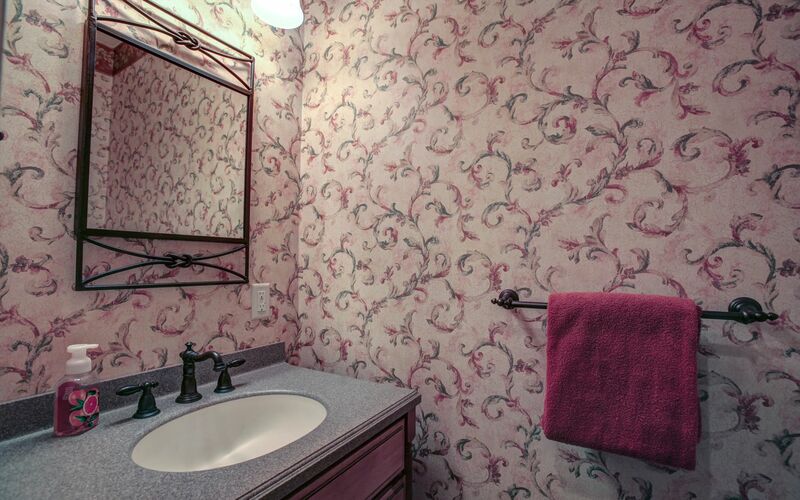 It is conveniently located off Boston State Road just minutes from Rt. 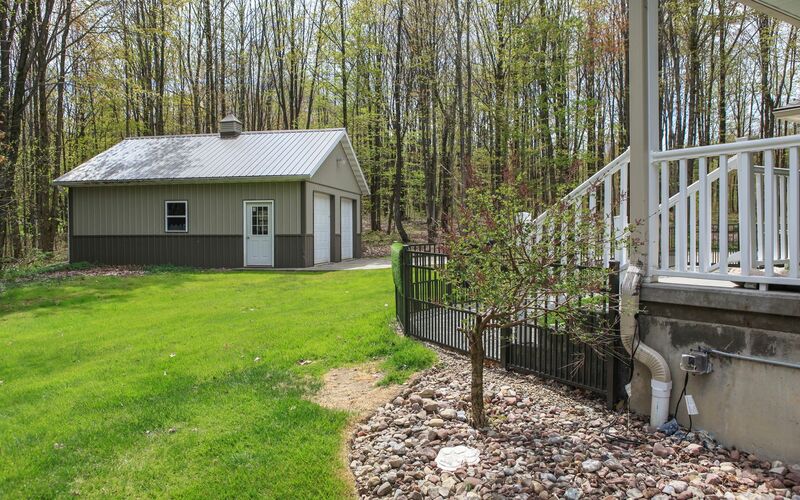 219 and approximately 30 minutes from downtown Buffalo. 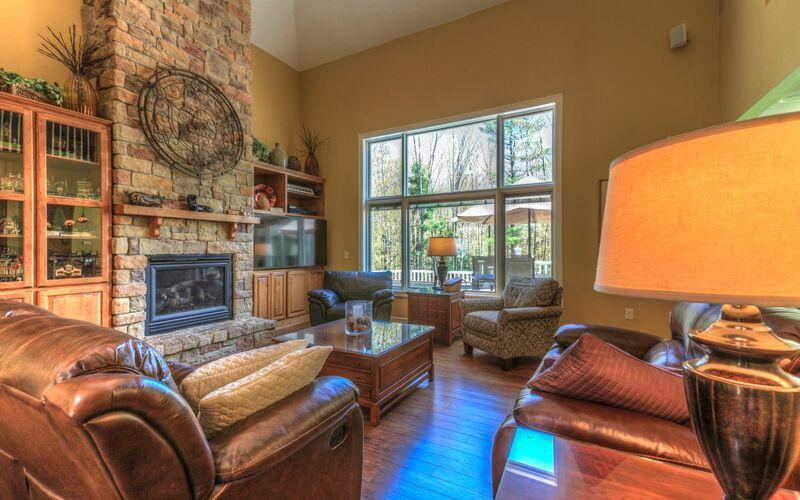 A beautiful view from every window awaits!